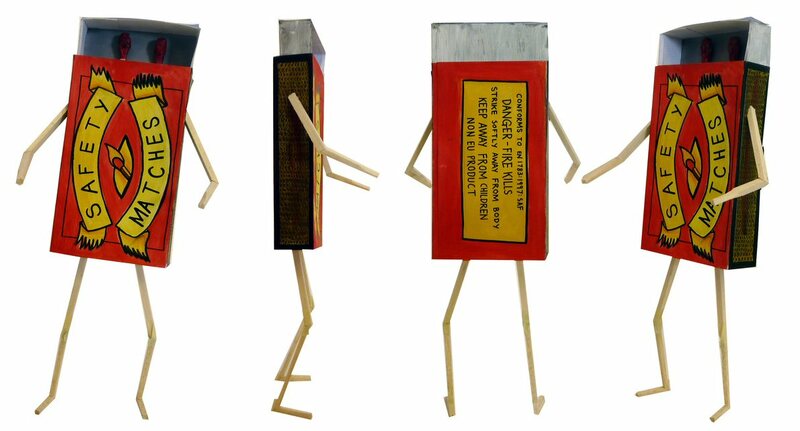 This is Matchbox Man, a character devised by my son Ed. (Click to enlarge.) I understand his people are in touch with Pebblehead’s people to have this brand new superhero feature in a series of pyromaniacal potboilers. This entry was posted in Enthusiasms, Shaka Pebblehead by Frank Key. Bookmark the permalink.